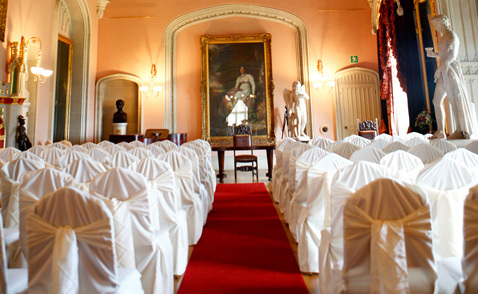 A quick email to say many, many thanks for dressing at our wedding at Wrightington on Friday 3rd June 2011. 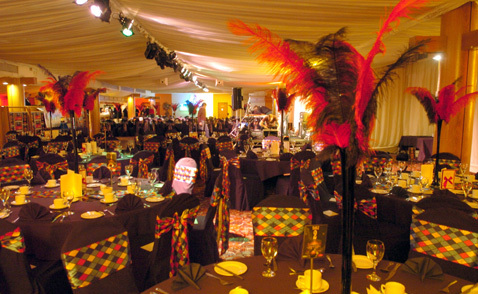 The swags, runners, covers and napkin ties set everything off beautifully and the roooms looked amazing. It wouldnt have been possible without you and the fact that every step off the way you were so helpful, friendly and easy going made the process simple. Emma - you are an absolute star !!!! Thankyou does not seem good enough - but hope it goes some way in explaining how appreciative we were of your services. Quite simply we had the best day of our lives and this wouldnt have been possible without your special touch. 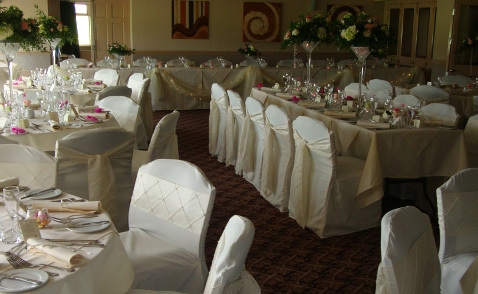 We just wanted to say a huge Thankyou to you for all the hard work you put in to make to room look fantastic for our wedding at Farington Lodge on the 17th July 2010. The sash's and swags for the chairs and table were an exact match to the bridesmaid's colour and you made them look so perfect. We have had so many good comments about your work from our guests on how lovely the room looked. We both really appreciate your hard work, and will most definitely recommend you to friends in the future. Sorry it's took so long but just wanted to say you did an amazing job at the houghwood (1st May). Everyone said how beautiful it looked and attention to detail was just perfect . I have recommended you to everyone I know getting married! 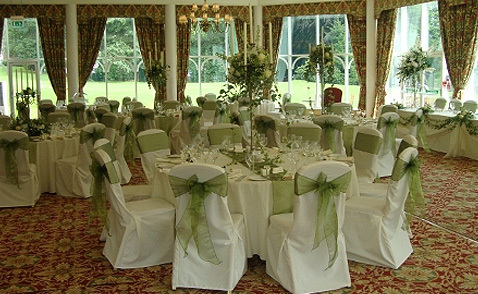 Just to say thankyou for the fabulous chair covers we hired for our wedding. They were gorgeous & made the the room look amazing. 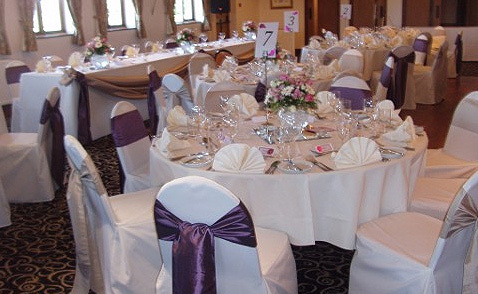 We will definately recommend you to family & friends who are getting married in the future who are looking for excellent chaircovers that are great vaue for money as well. 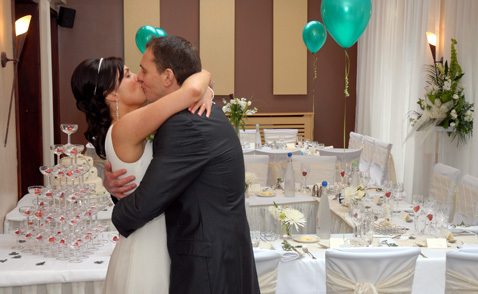 Just wanted to say a massive thank you for your contribution to our wedding on 25th July at Kilhey Court. 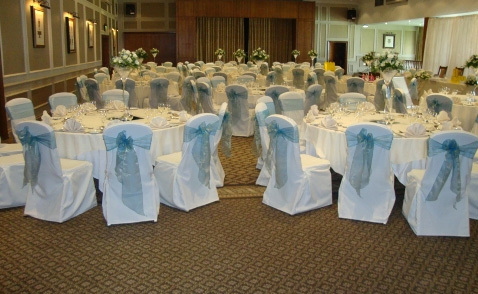 The chair covers were stunning and made the room look even better than I thought it would. The glass table decorations also looked fantastic and I have to tell you, generated more comments from my guests than anything else (including my dress!!). Thank you so much for your fantastic advice and organisation. Hi, just a quick note to thank you for creating such a beautiful setting for our wedding reception at The Wrightington (6th August 2010). 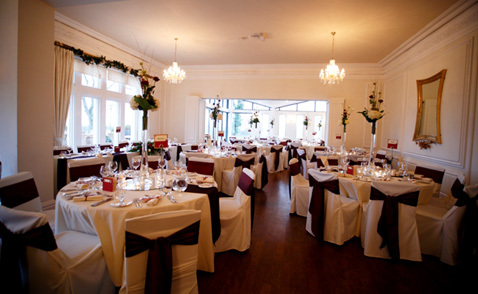 We were so pleased we decided to have the covers and everyone said how lovely the room looked. I am writing to say a big thank you to you and Phil for providing seat covers and bows for my sons wedding on Easter Sunday 2008, and for personally being there to oversee it all. The special touches you did in the wedding breakfast room were also perfect, top table swags, menu ties, etc... carried the theme through beautifully. Your friendly and professional service was much appreciated by us all; I would recommend you 100%. Mrs Janet Gray, Grayway Coaches. Emma did the most amazing job ! Our suite looked simply stunning ! She has an excellent eye for detail and displays very exciting and artistic ideas ! We had no doubts that the room would be anything less than 'perfect'. This made our day very special. Helen & Mike Molyneux x, Holland Hall, Upholland. Catherine, The Mount - Orrell. Thank you so much for everything you did in the barn. Hope you managed to take some photo's as everyone of our lady guests had tears in their eye's when they walked in! You'll get a 110% recommendation from me! Thanks again Emma. Nicky Complexions, Up Holland at Rivington Barn. 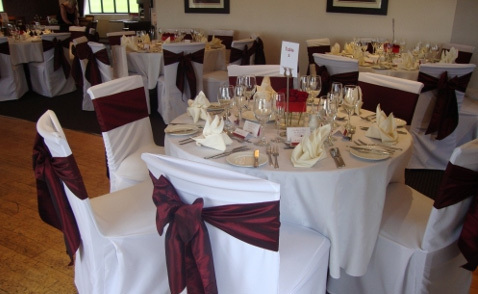 Thank you so much for the chair covers, they transformed the room and looked stunning. Thanks once again for helping us out at short notice. Just got back from honeymoon. 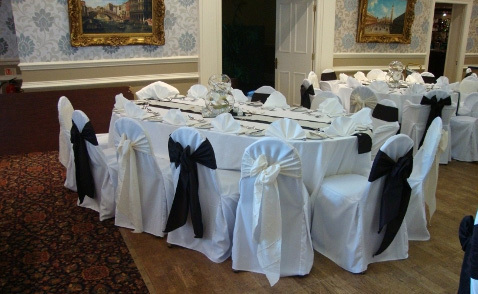 Just wanted to say thankyou for your friendly and reliable service - the chair covers really did make a difference to the room. I will definitely recommend you. Claire, Haydock Park Race Course. Thank you for all your help. 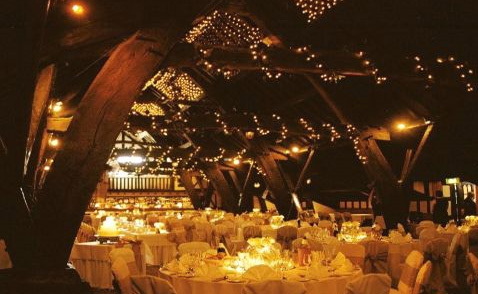 Our wedding venue was lovely but my covers + bows were "WOW"! !